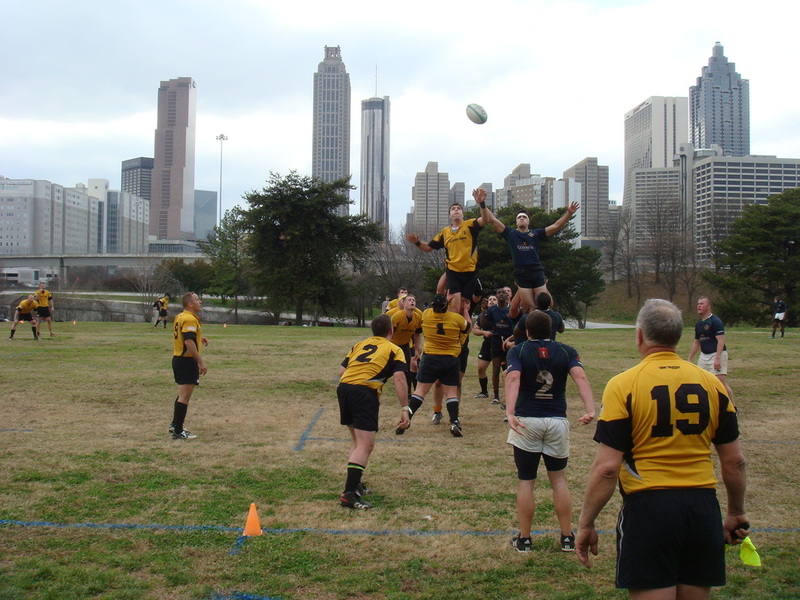 The Yellowhammers started off the 2012 matrix season with a 71-0 dismantling of Georgia State in Atlanta. The Hammers utilized the "arena football-like" gravel pitch played upon amidst rolling hills, rusty goal posts, and a five meter endzone. Congrats to Cam Strong (backs) and Jim Smith (pack) for being today's "Man of the Match." The Hammers take on the Atlanta Bucks next Saturday (February 11) at home at 1 pm. All home games are played at the Montgomery YMCA Soccer Complex. For directions, click here.